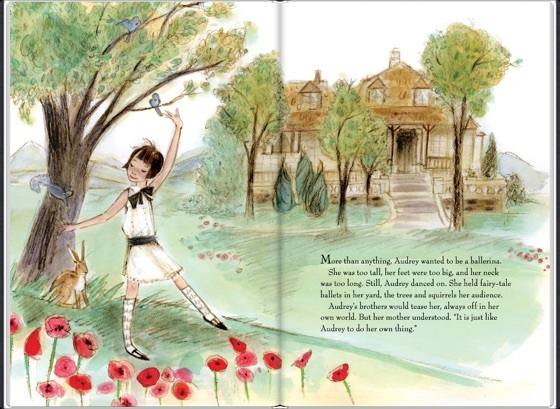 Audrey Hepburn proves as irresistible a character in the pages of a children's book as she is in those soign roles of the silver screen. 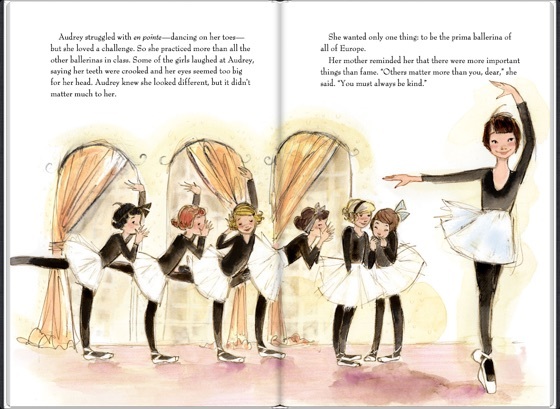 Denos (Grandma's Gloves) is spot-on in her watercolor portraits of Hepburn at each stage of her life; even those readers who haven't seen Sabrina, Roman Holiday, or Charade (at least not yet) will understand instantly how Hepburn's ballerina bearing, gamine chic, and openhearted worldliness made her a one-of-a-kind star and fashion icon. 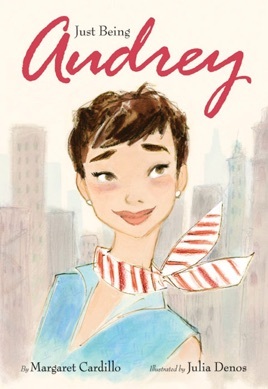 Debut author Cardillo's literal, matter-of fact storytelling could have used a little more lan (especially given that her subject once spoke the urbane words of Peter Stone, Billy Wilder, and George Axelrod), but she gets her point across: "Audrey had become more than an actress; she was an inspiration. While most Hollywood starlets were curvy and wore glamorous outfits, Audrey would only be herself." 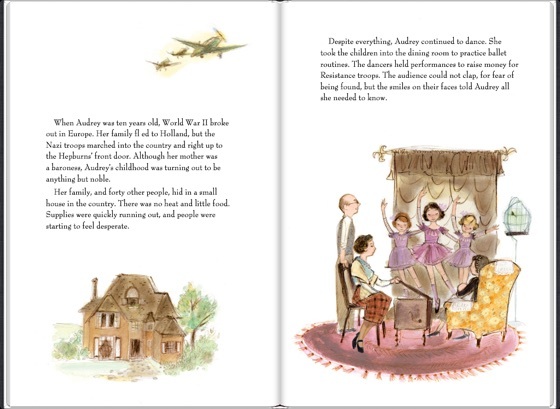 And the story is packed with fascinating details about Hepburn's upbringing in WWII Europe and foray into acting. Any grownup who bemoans the way Katy Perry et al. dominate contemporary popular culture should buy this for their favorite girl ASAP. Ages 4 8. I bought this book after seeing it in my daughter's school library display. I always loved Audrey and thought it would be a good introduction. I learned so much about her and I truly appreciate how the author highlights all the good that she did.